BLACKSBURG, Va., Oct. 26, 2010 – Mark Wahlberg, associate professor of animal and poultry sciences in the College of Agriculture and Life Sciences at Virginia Tech, has been conferred the “associate professor emeritus” title by the Virginia Tech Board of Visitors. 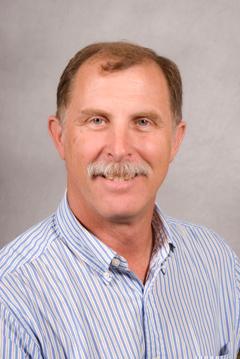 A member of the Virginia Tech community since 1982, Wahlberg expanded the body of knowledge regarding the livestock industry through numerous publications and presentations focusing on cost-effective nutrition and management considerations. In addition, he provided effective leadership to the youth extension program in animal science, which advanced the learning opportunities for youth throughout the commonwealth and brought national attention and recognition through success in several competitions. He also served in leadership and advisory positions in agricultural industry and community organizations, particularly the State Fair of Virginia. Wahlberg received his bachelor’s degree from the University of Connecticut and a master’s degree and Ph.D. from Pennsylvania State University.